Back In Motion’s Mums & Bubs classes are always a lively and social event. The classes are specifically designed for the needs of you and your new baby. 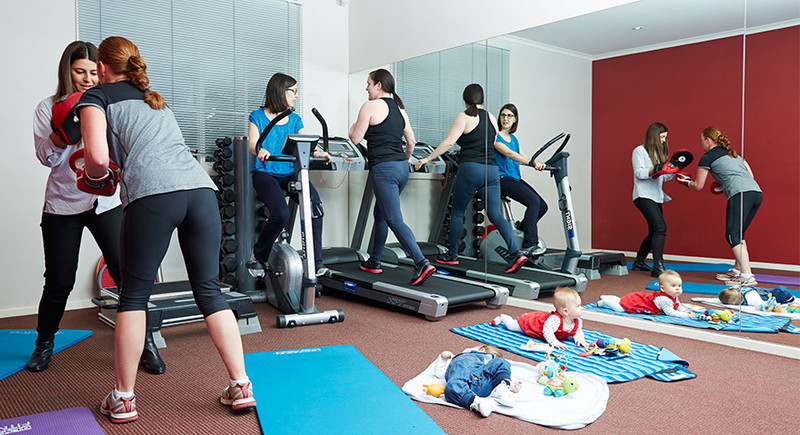 You will enjoy a safe, rewarding and fun environment that can assist in regaining lost fitness and strength while also interacting with other mothers and their babies. As the exercises incorporate your bub, these classes provide a fantastic opportunity for them to play, interact and enhance their social skills. Why attend Mums & Bubs at Back In Motion? Classes guided by a professional physiotherapist. This class takes no more than four participants (plus babies) and runs for 40 minutes. If you have private health insurance with extras cover, you can claim this class. Request a booking in one of our Mums & Bubs classes by contacting your local Back In Motion practice.